Today I am pitching for panels in our homes; why? Because this once classic look has packed it's bags and travelled into the 'here and now' to bring us a multitude of facades, from cool and calm, to vibrant statement, hardwood to fabric, plain to patterned - there's something for everyone, or more specifically, for every home. 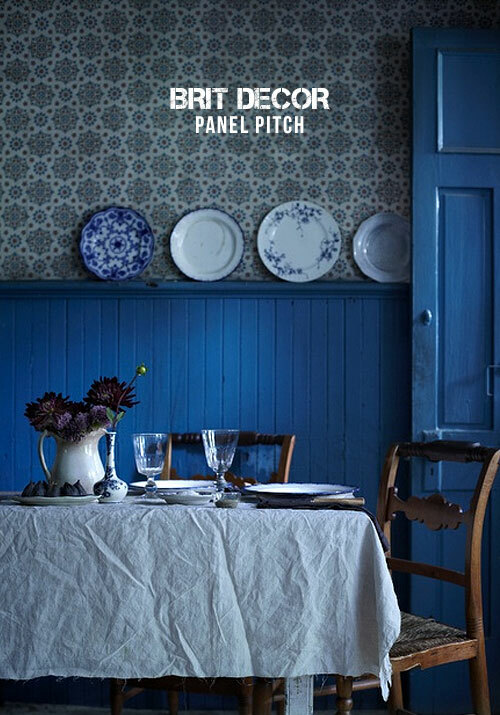 I love how the owners of this quintessential country kitchen (in image no.1) have updated the classic panelling with a breathtaking deep cobalt blue, which sets the theme for the entire room with elements of the cobalt echoed in a pattern-fest of blues. From country we then move to urban with this uniform grid panel (image no.2) painted in a sophisticated smokey grey from Little Greene. Note how the dark formality of the wood is softened by the use of layered textiles and bedlinen, whilst the monochrome chevron throw provides a show-stopping contrast to the square panels. I find it difficult not to swoon at the sight of a Liberty print as a statement of enduring British design but look how exciting this cupboard panel (image no.3) becomes when a print is cleverly applied! A star is born, or in interior styling terms, a centrepiece is created. 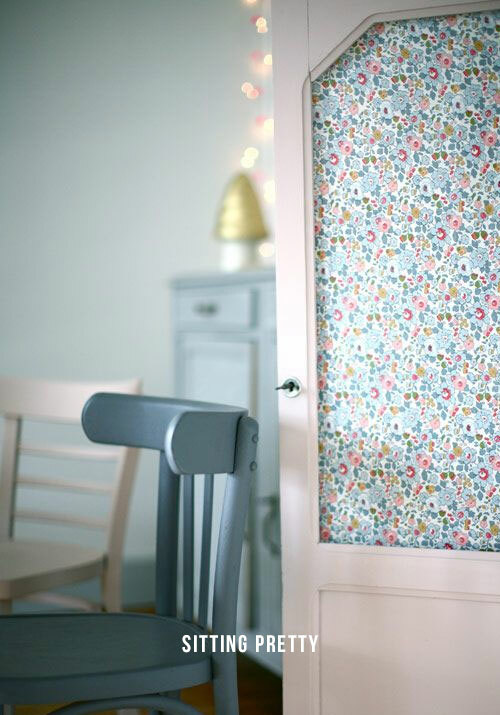 This is a great example of how fabric and wallpaper offcuts can be applied to panelling as an instant and inexpensive means of updating a room. Do you feel a project coming on...? 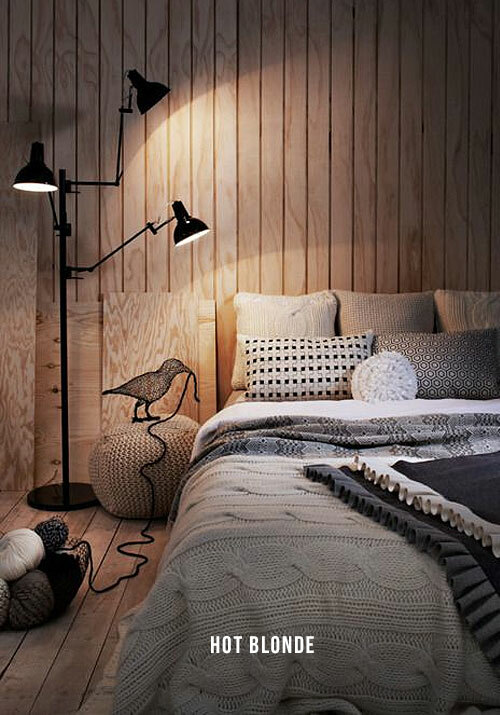 Blonde wood is so Scandinavian and those guys really know how to mix style with practicality. The natural glow of the panelling in image no.4 exudes warmth, so no wonder it's the dominant material in this cosy setting. Layer with natural knits for maximum contrast and crank up the comfort dial to maximum! 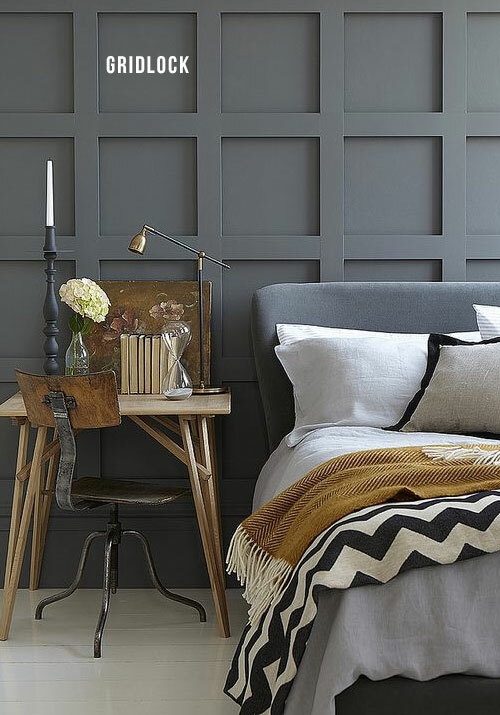 Finally in image no.5 we look back to classic with this vintage panelling. If you are a big fan of wood detailing and architecture, then think about keeping it simple with a chalky white coat of paint and let the lines and shadows do the rest of the work. There is something so simple and elegant about a paler panel, don't you think?